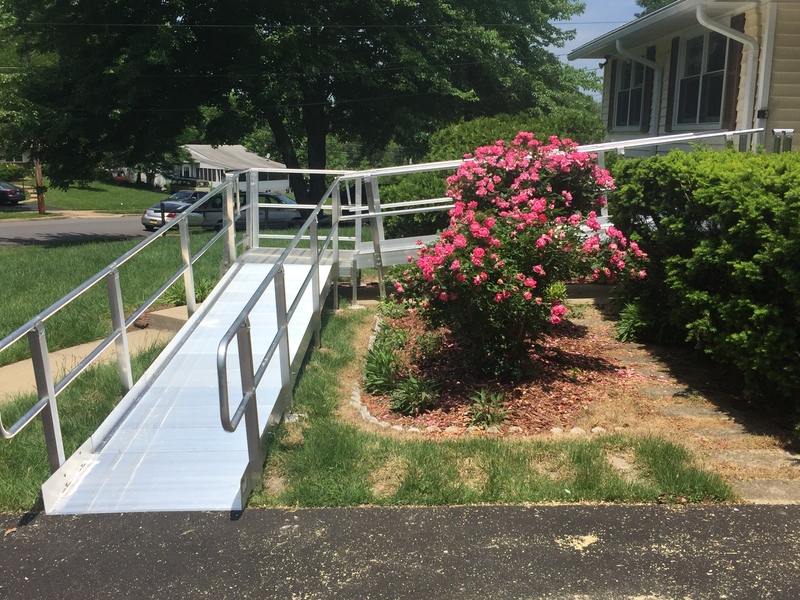 Ramps can dramatically improve safety and allow for continued ability to enter and exit the family home – helping your loved one retain a real degree of independence and security. There’s a lot more that goes into the proper choice, installation, and successful use of a ramp than you may realize. For example, the more gradual the incline of a modular ramp, the longer it needs to be. The steeper the grade, the more difficult it is to push your loved one. Though this seems obvious, it is surprising how often it is overlooked. What combination of the above meets the specific abilities and body mechanics of your loved one? How do these vary according to their own unique medical condition and/or disease progression? Have the caregiver’s abilities been considered in relation to your loved one’s assistance? Live In Place has professional answers to serve you better. 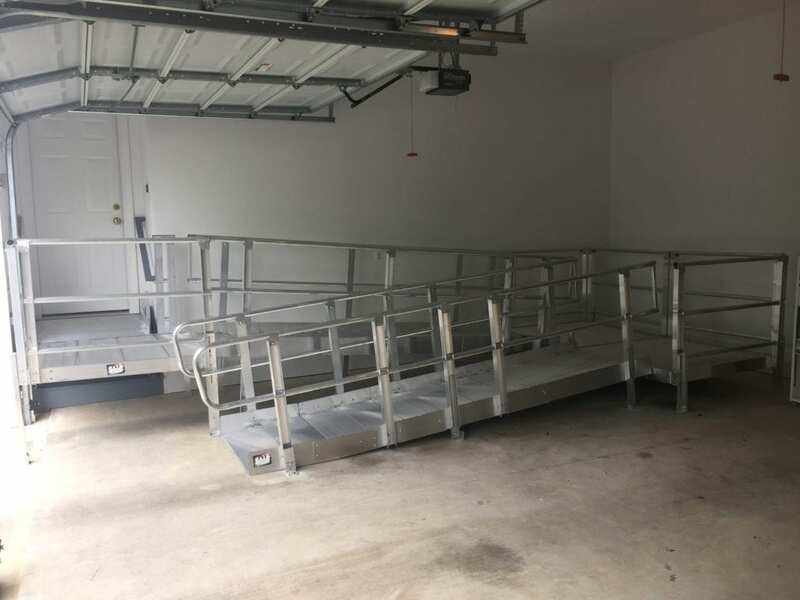 “Best in Class” evaluations prior to your ramp purchase and installation are conducted by certified occupational and physical therapists who are trained in aging-in-place mobility options, including ramps. 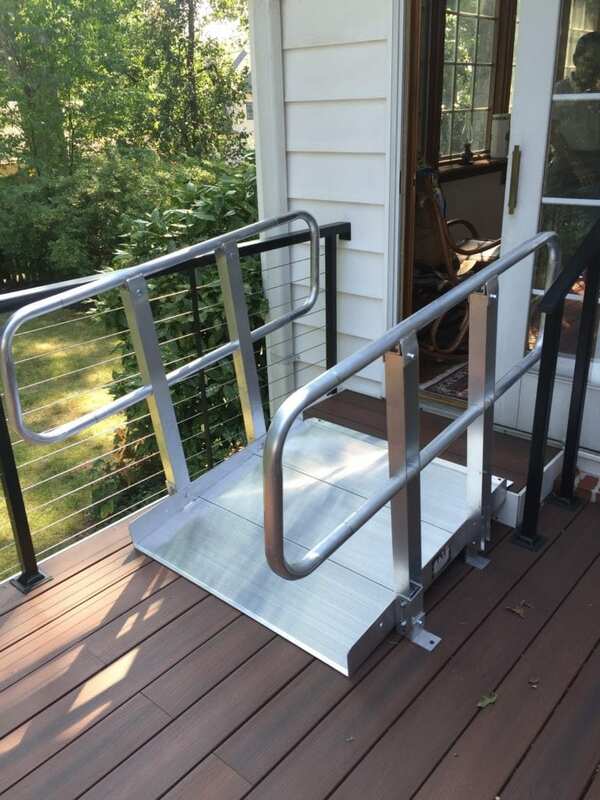 This ensures your peace of mind that the ramp and related modifications are right for your loved one, thereby improving safety while retaining their independence. Modular ramps can allow the independence of walking with a cane, walker, or rollator – they are excellent for walking independence. Their gradual incline, along with railings and the traction surfaces of the walkway, dramatically increase safety. 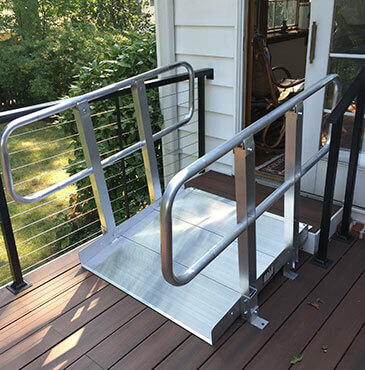 A modular ramp also provides wheelchair-ready use if family needs suddenly change. These ramps can be assembled and installed in one day. Portable ramps have no railings and are for wheelchair use only. They typically are not safe for walking for anyone with a balance deficit, body weakness, or using a walking device. Portable ramps are lightweight to lift. They are often used for doors with just 1-2 steps in places where there is an uneven surface or path obstruction. Step heights must be carefully considered, along with all the other factors mentioned. 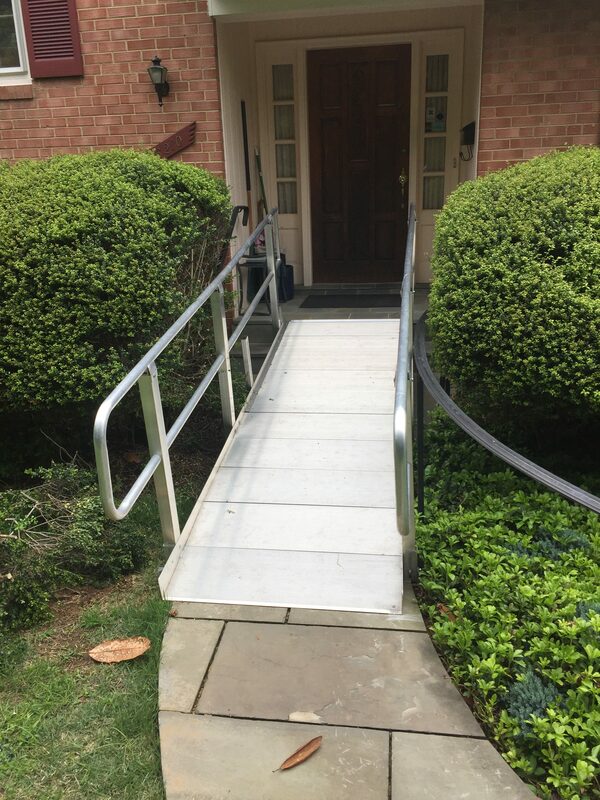 Contact Live In Place today at (703) 433-0380 or request a consultation, and we’ll discuss your needs and explain your best options for home ramps.